BlackwaterBLUE from monkster.com: Sven poised for shock Premier League return with Chelsea? Sven poised for shock Premier League return with Chelsea? Three words: Sven-Göran Eriksson... 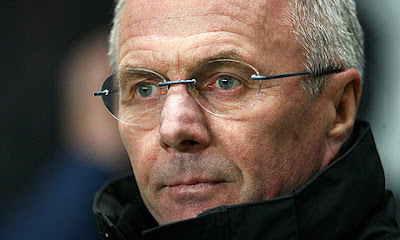 There's surprising news from inside the Chelsea camp this morning, as suggestions are that Sven-Göran Eriksson could be in the running for the vacant manager's role. He has been the manager of Championship side Leicester City since October 2010 but indications are he would relish the idea of the coaching role at Stamford Bridge. For the record, he has won 17 major trophies as a manager, with a variety of clubs, between 1979 and 2000, when he became the first manager to win league-and-cup doubles in three different countries. He later managed the national teams of England, Mexico and Côte d'Ivoire.